CIMicro can show and analyze images (Single, Stacks and Time Series) from LAS-X Files; LIF, XLEF or TIF. 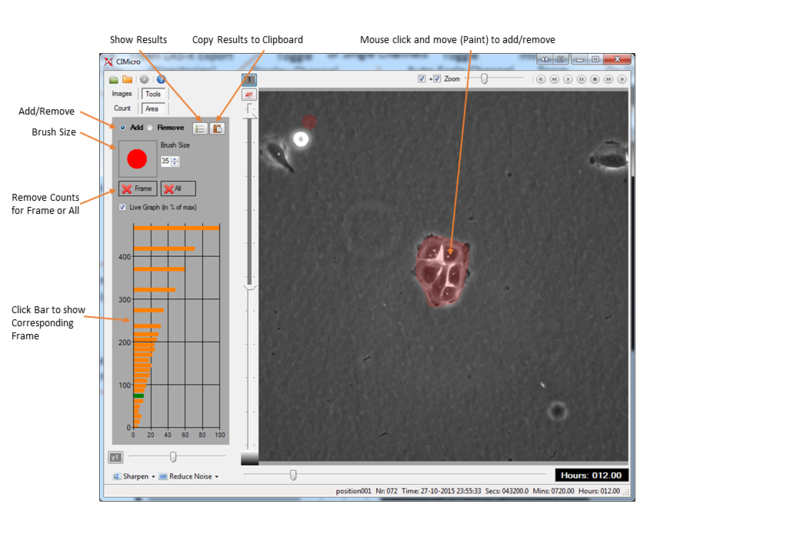 This program was developed primary for quickly analyzing time-lapse experiments of cell migration, invasion and wound healing assays. 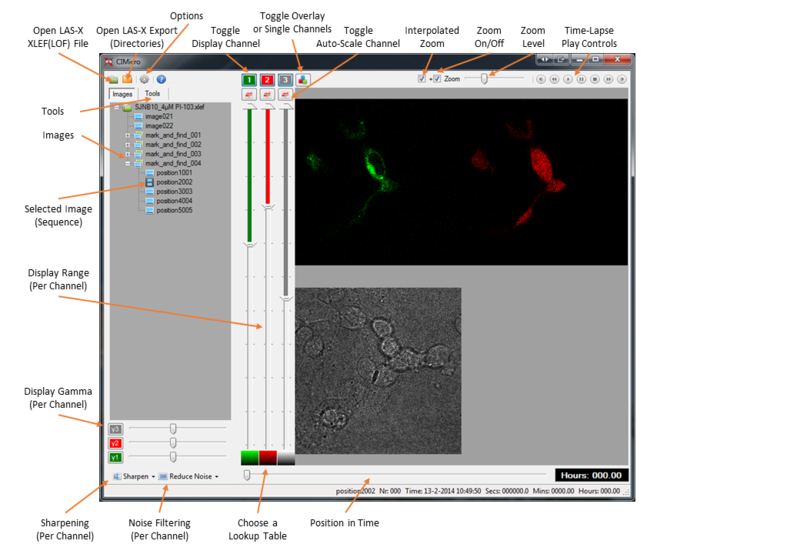 Time-lapse experiments saved in Leica’s LIF or (auto-saved) XLEF files can be opened with no delay in loading time. Interactive measurements can be done by the area or counting tool and are save together with experimental data. Extra options are Movie Export, 3D features and support for TIFF files. Image Data and Meta Data is only read when needed. This makes access to large data sets very quick. Original Files are opened as read-only and are never altered. Main Form: Choose a LIF/XLEF file or Export Folder. Select an image, single, stack or image time series in the treeview to display. Select a region of interest (ROI) and double click this ROI to Crop. Double click the cropped image to cancel cropping. Use the arrow keys for stepping trough an image sequence (CTRL and SHIFT make bigger steps). Stacks can be viewed as single slices, maximum intensity projection or maximum variance projection. Area: Paint with a Brush to Measure an Area (In this example; the Area of one Clone). Use right click to Flood Fill an Area. Not shown in screenshots (only visible with stacks). Remark: When light is on (the default) the keys (R,E,G,F,B,V) control the ambient light parameters, if light is off the keys control the color parameters. Export to Movie is stable but a bit slow. Beta version, so there are probably still a few bugs! © Ron Hoebe, Software Cellularimaging, 2019.